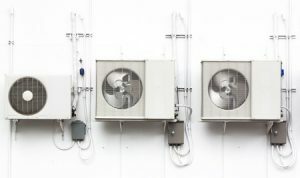 When an unexpected problem requiring an air condition repair occurs, it is important to have built a relationship with a reputable AC repair company beforehand to know your AC system and its repair is in good hands. It is difficult to find a reputable AC company in the midst of an AC emergency. Avoid this unnecessary stress and trust Caldeco Air Conditioning & Heating with all maintenance and repairs for your AC system. Caldeco Air Conditioning & Heating is proudly recognized as the Tampa hometown AC expert providing homeowners and business owners with the best new AC equipment. Our residential and commercial air condition system repair and maintenance services are unmatched by other local AC companies. We have extended office hours seven days a week to make it easier for people scheduling AC repair appointments before or after work. Our NATE certified AC repair technicians at Caldeco Air Conditioning & Heating often find that many of the air condition repair service calls they handle could have likely been avoided with regularly scheduled professional AC maintenance. Our technicians also note homeowners or business owners could have taken certain steps to reduce air conditioner load. The Caldeco Air Conditioning & Heating service area includes the entire Tampa Bay area and beyond including Brandon, Clearwater, Land O’Lakes, Pebble Creek, Trinity. Contact us today to schedule an air condition repair or to learn more about the exceptional AC maintenance and duct cleaning services we provide to extend the life of your AC unit to keep it working smoothly and efficiently.